September is officially the Birthday Month! I am sure you can think of at least one or two people who are celebrating this month. 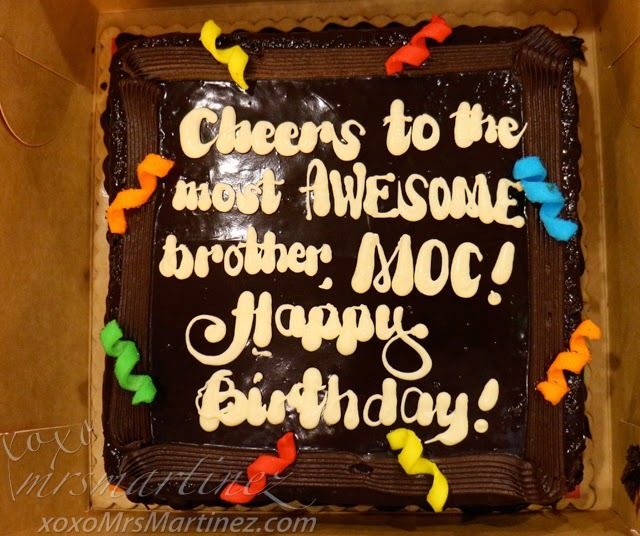 My brother who had just undergone a glaucoma surgery will be celebrating his birthday in a few days. 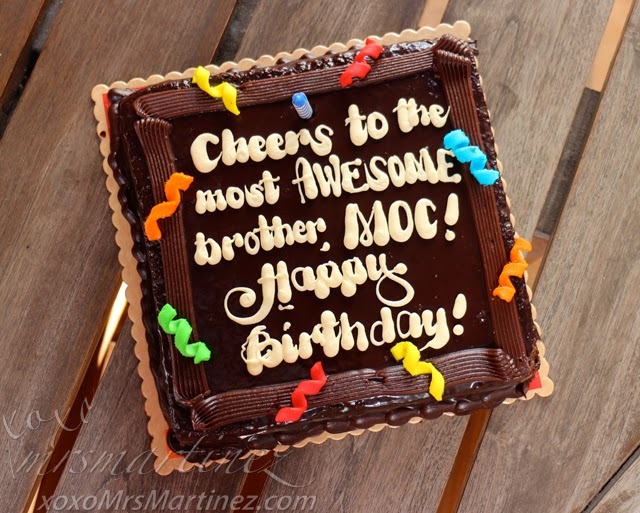 For being such a trooper, I thought of giving him a surprise birthday cake but it's not just your ordinary chocolate cake, it's a Red Ribbon's Dedication Cake! Rich chocolate cake with fudgy chocolate icing and filling and topped with colorful sugar confetti. It comes in a square size and can be personalized with your own special message. I called Red Ribbon hotline 898 7777 to check the branch nearest to me. 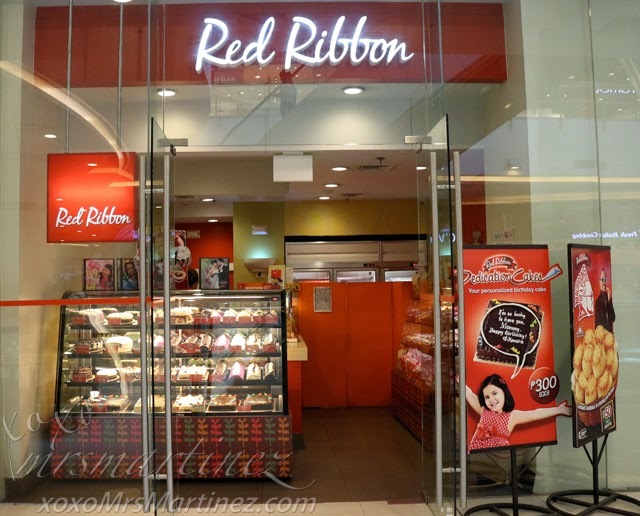 According to the customer representative, Red Ribbon has a branch in Robinsons Magnolia. 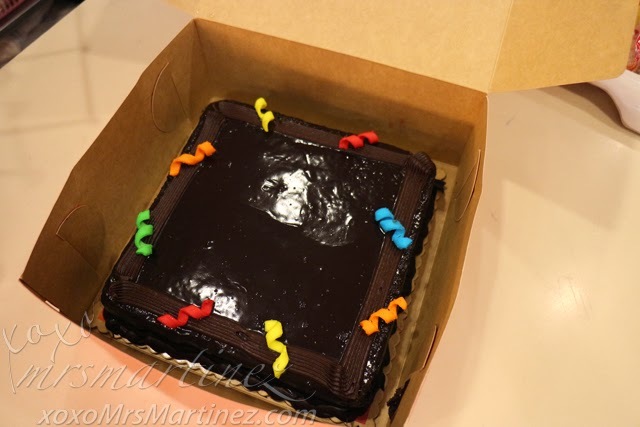 I called 955-2210 to check if an 8x8 Dedication Cake is available so I can pick it up. You can also call Red Ribbon Delivery Hotline 8-7777. Can you spot the Dedication Cakes? 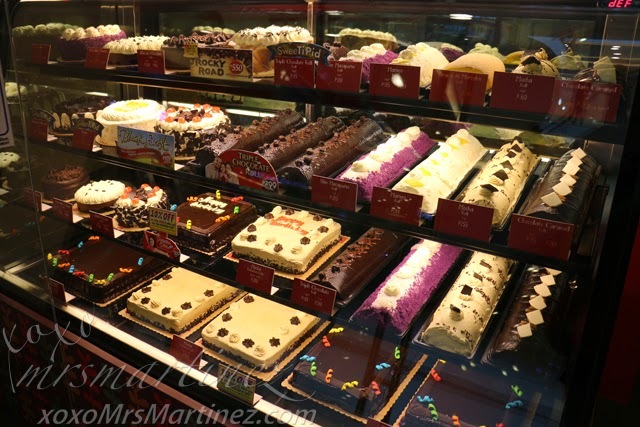 Tip: Purchase any Dedication Cake and you get 10% off any pastry. Promo duration is until September 30, 2014. 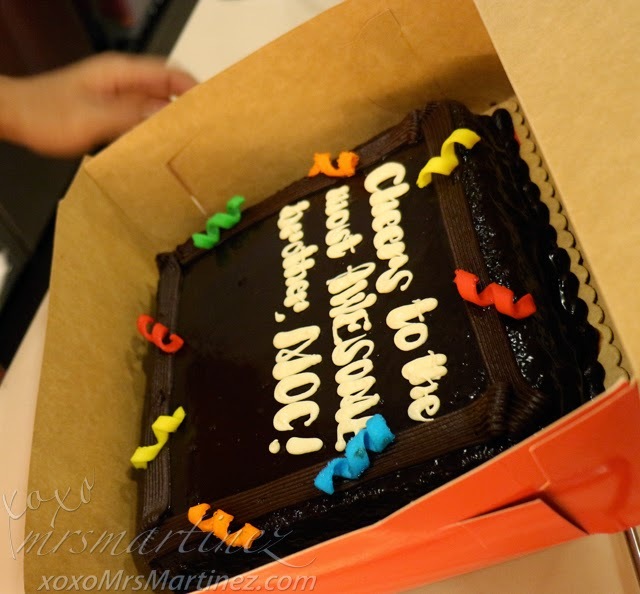 Red Ribbon Dedication Cake is available at the following sizes- 8x8, 8x12 (PhP 500) and 12x12 (PhP 700). Also available in Mocha flavor. I wrote down my dedication on a piece of paper then guy proceeded to write down my dedication on the cake. The lettering came out really nice. Answer this question in the comment section below: What is your most unique birthday message to your loved one who will be celebrating his/her birthday soon? kaw pa din ang lolo ko na gwapo. Happy 91st Birthday Lolo Ilon!! Congratulations and thank you all for joining!